Stay radiant every day without damaging your skin. 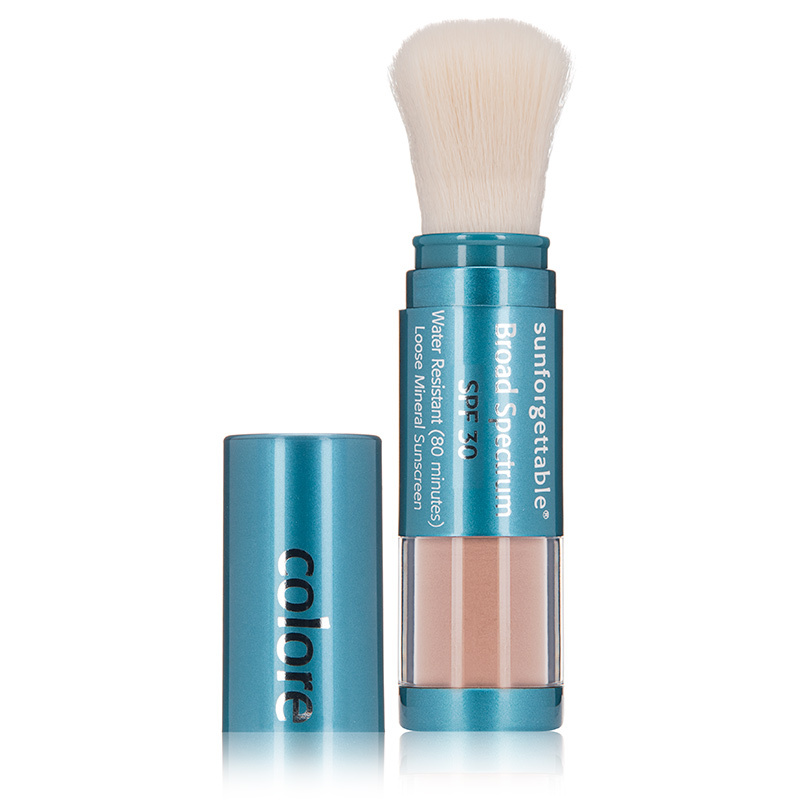 Sunforgettable Brush-on Sunscreen offers powerful SPF 50 UVA/UVB protection, alone or over makeup. SPF and finishing powder in one simple, on-the-go application. Sweep brush over face and body to release powder. Use small circular strokes to release more powder for more coverage. Apply liberally and evenly before sun exposure and reapply every two hours. Gluten free, paraben free, and unscented. Mica, Dimethicone/Vinyl Dimethicone Crosspolymer, Lithothamnion Calcareum Extract, Mannitol, Methicone, Dimethicone, Calcium Silicate, Triethoxycaprylylsilane, Sodium Sulfate, Laureth-4, Diatomaceous Earth, Zinc Sulfate, Chromium Oxide Greens (CI 77288), Iron Oxides (CI 77491, CI 77492, CI 77499).